Wow, the last few months have been busy for Tinkercad. So we are bringing back Friday Roundups to share with our users the latest and greatest links from the worldwide web! This week will be focused on giving high fives to our awesome users. TechnoGirlz – We loved reading your thoughts about Tinkercad but we love even more that you are showing girls how to design. Keep Tinkering! Adafruit – Thanks for doing a great write up about shape generators. We appreciate the support. Wynwood Maker Maker Camp – So glad that you are using Tinkercad! Make sure to share what you are doing with us. We gladly accept user blog posts. ThinkEdTech – You found an awesome way to bring together Shakespeare and 3D printing. Keep up the good work and posting those pictures. 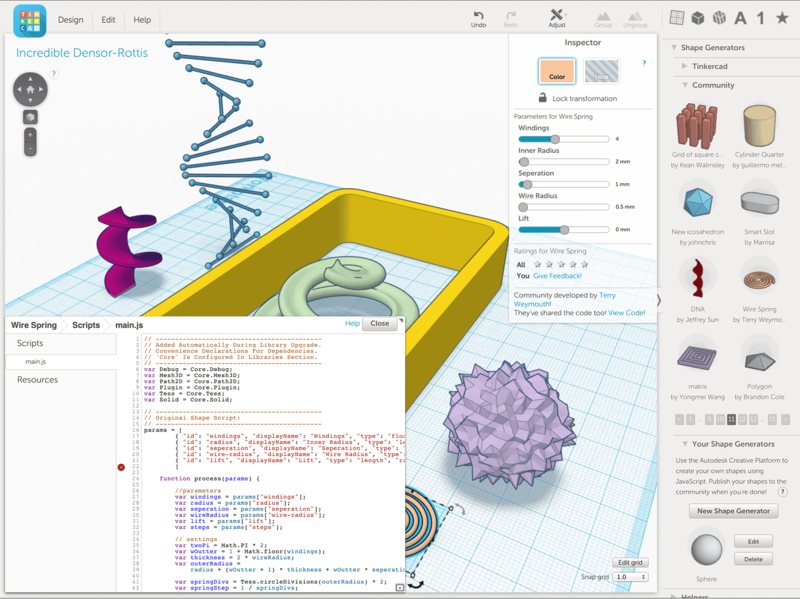 John Christensen – Bringing Tinkercad into the public library is genius! Now users can check out more than books. Thanks for all the love this week TinkerStars! We also wanted to say thanks for all your participation in #TinkerCup2014. It was fun to see so much excitement. We even made it on to Brazilian television!